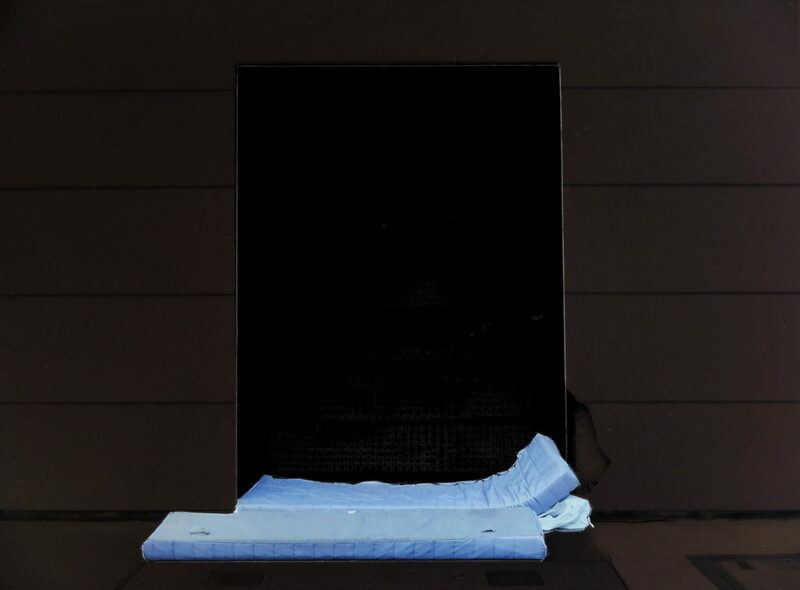 A work about homeless settlement and the relation with urban resilience. 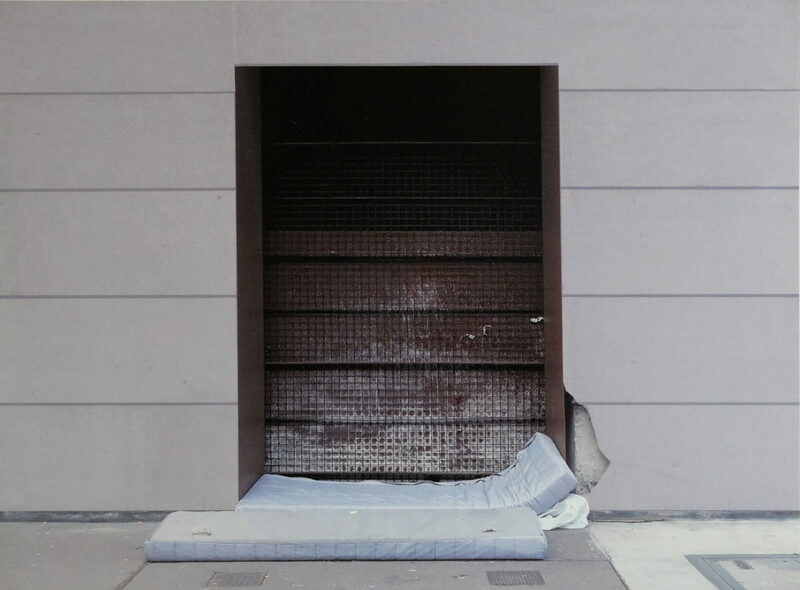 At D0, the garage door appeals to the eye before being attracted by two mattresses continuously with the wall. At D+, the background darkened leaving the space to the unoccupied mattresses with an obsessing question: what have we done with the “occupants”? More to read here.